The Punjab government appointed the administrators two days after it announced taking over the control of Madrassatul Sabir and Jamia-e-Masjid Subhanallah in Bahawalpur, over 400-km from Lahore. Jamia-e-Masjid Subhanallah is located in the densly populated industrial area in Model Town-B of Bahawalpur while Madrassatul Sabir is situated on Bahawalpur-Ahmed East highway on the outskirts of the city. Earlier in a complete U-turn, the Pakistan government dismissed its own claim of taking over the control of JeM headquarters in Bahawalpur and said the complex had no link with the JeM. Rejecting his earlier announcement that the complex was JeM headquarters, Chaudhry said, "This is the madrassah (seminary) and India is doing propaganda that it is the JeM headquarters". On Friday, the minister told PTI that the Punjab government had "taken over the control of the JeM headquarters in Bahawalpur". "The government of Punjab has taken over the control of a campus comprising Madressatul Sabir and Jama-e-Masjid Subhanallah in Bahawalpur, allegedly the headquarters of Jaish-e-Mohammad, and appointed an administrator to manage its affairs," he had said. 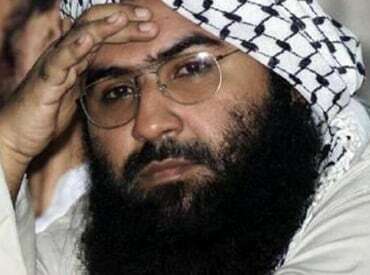 It was the first time in years that the campus, about 430-km from Lahore, had been acknowledged by Pakistan to be the headquarters of the Masood Azhar-led JeM. The Islamic seminary in the campus has a faculty of 70 teachers and currently 600 students were studying in it, the statement said, adding that Punjab police were providing security and protection to the campus. Since 2002 when the JeM was banned, different intelligence agencies have been regularly monitoring the mosque and the seminary, the Punjab government official said. The JuD is believed to be the front organisation for the Lashkar-e-Toiba militant group which is responsible for carrying out the Mumbai attack that killed 166 people. It was declared a foreign terrorist organisation by the US in June 2014. Forty CRPF personnel were killed and five injured on February 14 in one of the deadliest terror attacks in Jammu and Kashmir when a JeM suicide bomber rammed a vehicle carrying a huge quantity of explosives into their bus in Pulwama district. Tensions between the two countries have heightened after the attack with India asking Pakistan to take immediate and verifiable action against terrorists and terror groups operating from territories under its control.